I still had an old Odroid U3 ARM-based credit card sized embedded PC lying around unused. A while back I was able to get a real-time kernel up and running on it and managed to reduce the on-board audio codec buffer down to a size of 32 -256 samples, resulting in an audio latency of <=10ms. This made the device responsive enough to actually be used as a platform for Linux audio plugins / programms. Back then I checked out the Linux synthesizer zynaddsubfx I was really impressed. Recently I started setting up my own Eurorack modular synthesizer and when I saw this 7″ Chinese touch LCD, which just so fits into the Eurorack frame, I thought maybe I could bring zynaddsubfx on the Odroid to life within that setup. It took a bit of fiddling to get the Odroid work with the display and to have the setup run stable, but eventually I even got my old midi sport 4×4 midi interface to run with the Odroid. 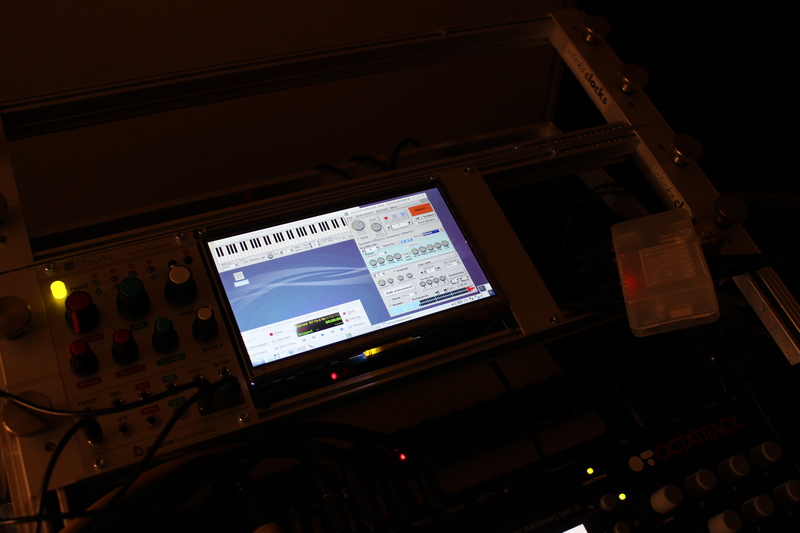 So now I have a nice midi matrix hub using Jack on Linux and a great synth all within the Eurorack. zynaddsubfx is a great especially in terms of polyphonic pad sounds and efx, making it a great addition to my (still in progress) Eurorack. Even better, the synth supports multimode, so one can have several sounds running in parallel. Had everything running today for a couple of hours and it seems pretty stable. Also contacted the maintainers of zynaddsubfx which are going to release v3.0, featuring a fresh GUI, shortly. They are potentially interested in making the UI more useful on small screens.